This is a pretty gross display of wealth, if you ask us. 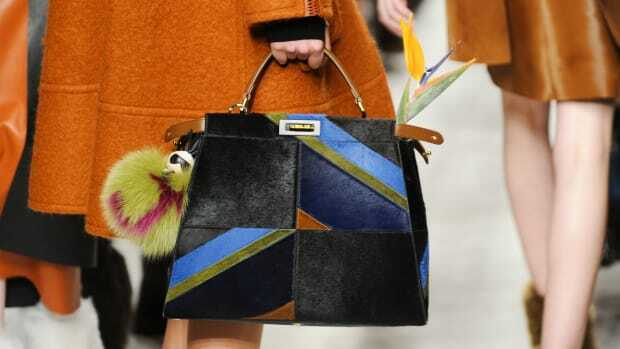 Fur, leather and other exotic (and expensive) materials are elements we&apos;ve come to expect in every collection from Italian fashion house Fendi. Heck, everything from the bags to the booties to the faux-hawks at the Fall 2013 Fendi show was made of fur, which barely even fazed us. The models stomped all over the yards of fur that, presumably, would be thrown away after the show. While the collection was filled with smart suiting pieces and great outerwear, it is difficult to focus on anything else besides the wasteful PETA nightmare that was the runway. In his review of the show, the FT&apos;s Charlie Porter wrote, "In the end, accomplished as the clothes were, it did not feel anything to celebrate, for anyone." We&apos;re inclined to agree. See below for some Instagram snaps of the show. Fendi seemed to want to make a point this season about how much fur could be used in one collection and on how many items. Each show-goer was given a folder containing several of Karl Lagerfeld's sketches--one of which announced, "Fendi is Fur; Fur is Fendi." 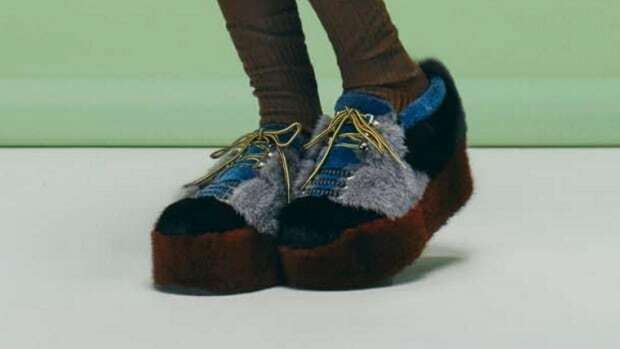 Arrows pointed out where on the model there was fur, and, of course, there was so much of it that the page was covered with them. Maybe designers Silvia Fendi and Karl Lagerfeld wanted to make their pro-fur stance clear, in light of PETA's constant badgering of the house. Or maybe, in a season where almost every designer is showing some clever take on fur, they wanted to lay claim to it: Begun as a furrier and leather goods brand in 1925, the Italian fashion label has had plenty of time to perfect their fur craft.